During a press conference, which took place today in Chennai (southern India), Linda Jackson, Citroën’s Global CEO, confirmed the brand’s arrival in India. 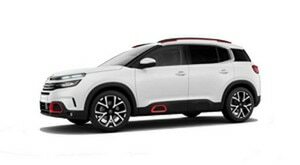 This is a major step in Citroën’s internationalisation strategy, which will introduce a range of new models with international scope to the market. The first of these models will be launched by the end of 2021. In addition, the brand will launch New C5 Aircross SUV in India from 2020. Following the announcement by Carlos Tavares (Chairman of the Groupe PSA Managing Board), and within the framework of the 2nd phase of the Push to Pass plan (26 February – 2018 Financial Results), Linda Jackson, Citroën’s Global CEO, confirmed the brand’s arrival in India during a local press conference, which took place today in Chennai (southern India). Carlos Tavares, Emmanuel Delay (Groupe PSA India-Pacific Regional Director) and Roland Bouchara (Citroën India Sales and Marketing Director) were also present at the conference. A strong and differentiated product offering, bearing a unique design and benchmark comfort, which creates value for customers in order to stand out in an already highly competitive automobile market. Price positioning at the core of the Indian market, using a strategy with a high level of local integration (over 90%) based on the two joint venture agreements between Groupe PSA and the companies of the CK Birla Group (car assembly and distribution, and production of powertrains). 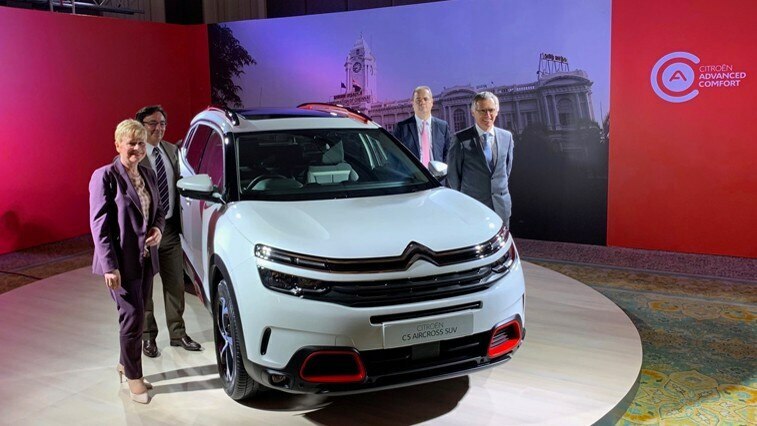 To meet this challenge, Citroën will release a range of new models, with an international scope, for the first time in India, the first of which will be launched by the end of 2021. Fully in line with the framework of the Groupe PSA Core Model Strategy, these new models will follow its principles, in particular with one launch per year. With 1.3 billion inhabitants, India is the second most populated country in the world and will soon take the top spot from China. In fact, by 2050, the country should total more inhabitants than China and the United States combined. It is also the youngest country in the world, with a median age of 25 years old. By way of an example, the number of Indian children under four years of age amounts to double the entire French population. By 2025, 55% of the country’s population will be of working age, which equates to 25% of the active global population. With levels of growth among the strongest at present, India may well become the leading global economy within a few years (it was 5th in 2018).